On August 9th 20:14 at 6:12 AM the Assyrian Military Leaders of the force called Dwekh Nawsha began a fight for survival of the Assyrian nation that is still ongoing. At 8:00 P.M. on 6 August 2014 ISIS infantry forces supported by light mortars began a coordinated assault against the town of Telkef in northern Iraq. Located just 8 miles north of Mosul on Highway 2 (HWY #2), Telkef had long harbored one of the largest Christian Assyrian populations in the region, some 4,000 to 5,000 souls in all. 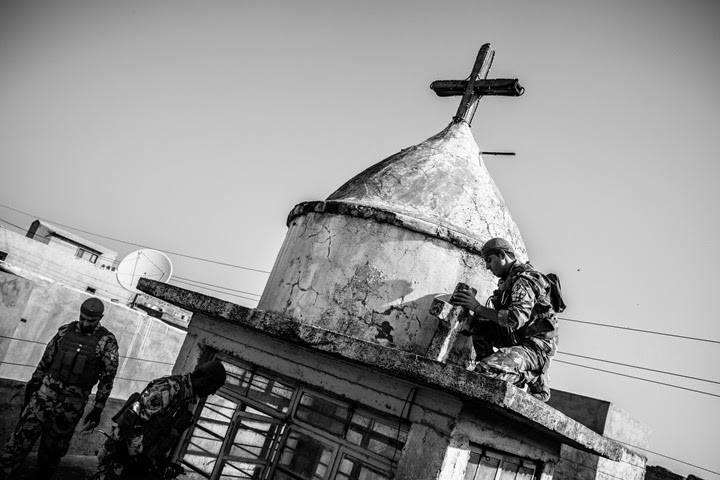 Outnumbered by a Sunni Arab population that would generally end up supporting ISIS aims and ambitions, the Assyrians of Telkef had nevertheless managed to coexist more or less peacefully with their Muslim neighbors, a circumstance attributable in large measure to the presence of Sunni Kurdish Peshmerga units assigned to the town. But now the Kurds, under pounding by ISIS mortars, suddenly abandoned their positions, fleeing north along HWY # 2 towards Dohuk. In doing so they also abandoned the Assyrians to what would certainly be a grim fate had they chosen to stay in Telkef. Panic-stricken by the prospect of being captured and killed by ISIS forces, the Assyrians fled en mass along HWY #2 and the adjacent road networks towards Dohuk and Erbil (the capital of the Kurdish Regional Government). They escaped along the same route which KRG forces had taken when they ran from the battlefield ahead of the fleeing Assyrian civilians they were supposed to protect. 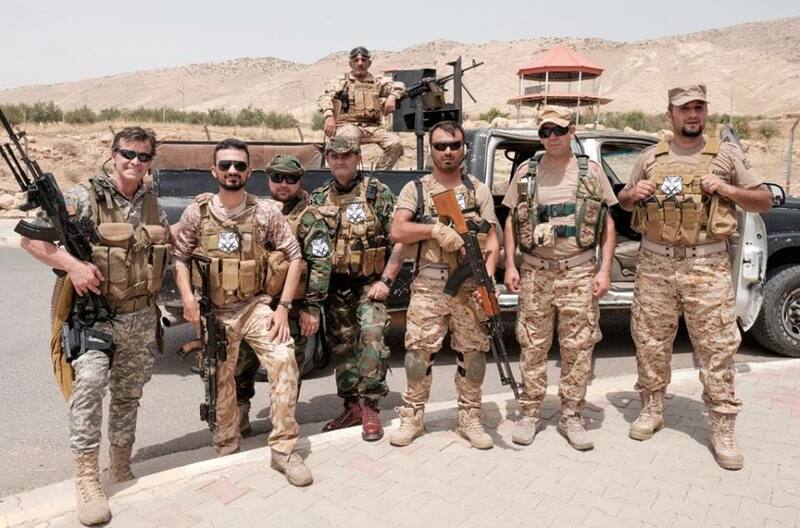 Creating a breach point in the KRG Forward Line of Troops (FLOT), ISIS promptly reinforced into the city of Telkef preparatory to continuing their offensive into the larger Nineveh Plains, the ancestral homeland of Iraq’s Christian Assyrian population. At 1:00 A.M. on 7 August 2014 ISIS continued attacking along an axis straddling both sides of HWY #2 where it entered Baghdade (pop. 60,000). These actions by ISIS precipitated a mass exodus from the nearby towns of Teleskof, Batnay, Bartella, Bakufa, Sharafia, and the rest of the 25-plus Assyrian cities and villages in the region. On 9 August 2014 Assyrian military leaders in Erbil took stock of what was becoming increasingly desperate situation. They saw that the Assyrians and other fleeing civilian groups were leaderless and in a panic, on the run, and had been without any humanitarian resources for more than 24 hours. Further, they had begun breaking up into pockets and had no food or water and were unable to physically leave the area because of the presence of the many elderly, children, and walking wounded. At the same time they were taking direct and indirect fire from ISIS units. It was clear to the Assyrian military leaders that these groups would soon incur heavy losses if direct action was not taken in their support. The refugees needed an infusion of leadership to hold the lines against ISIS and to lift their spirits to ensure that a coordinated retreat was carried out. 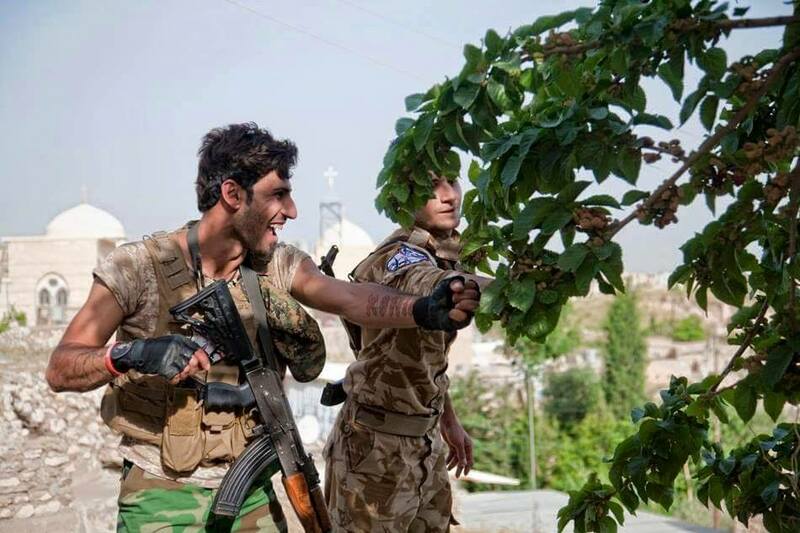 Knowing that they would receive no further help from KRG forces in resisting the ISIS assault on the Assyrians Christians and their homeland, the Assyrian Military leaders decided to take matters into their own hands. Meeting at 4:00 A.M. in the Erbil headquarters of the Assyrian Patriotic Party, they formulated plans to simultaneously rescue escaping Assyrian families trapped in pockets bypassed by advancing ISIS forces and to engage and stop the ISIS onslaught along HWY #2 into Erbil. At 6:12 in the morning I joined with twelve Assyrian volunteers to begin rescue operations with an initial probe down into the Nineveh Plains. By this time I had been operating on only two hours of sleep in three days, and I know that everyone else was as tired as I was, but we couldn’t let that stop us. There was no time for rest given that our nation was dying. We knew we had a difficult task ahead of us since we had no weapons and only two vehicles with which to carry out our mission. 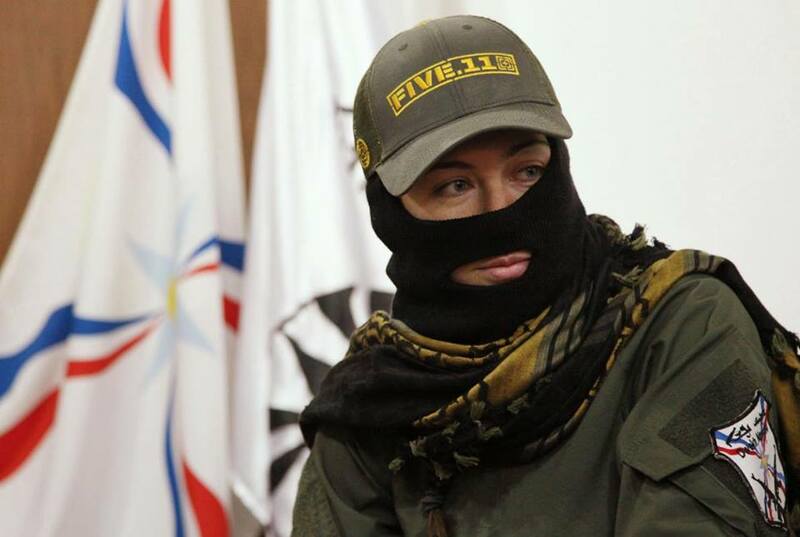 Fortunately, and just as we were about to move out, five of our Assyrian military wives stepped forward and offered their wedding rings and the gold crosses from their necks to be sold for the purchase of weapons and ammunition to support our mission. A few hours later our guys had sold those items and purchased weapons and ammunition from the locals. Thus armed, we drove off down the road into the battlefield. At the same time, with God’s help, American warplanes began strikes against ISIS forces advancing on Erbil. 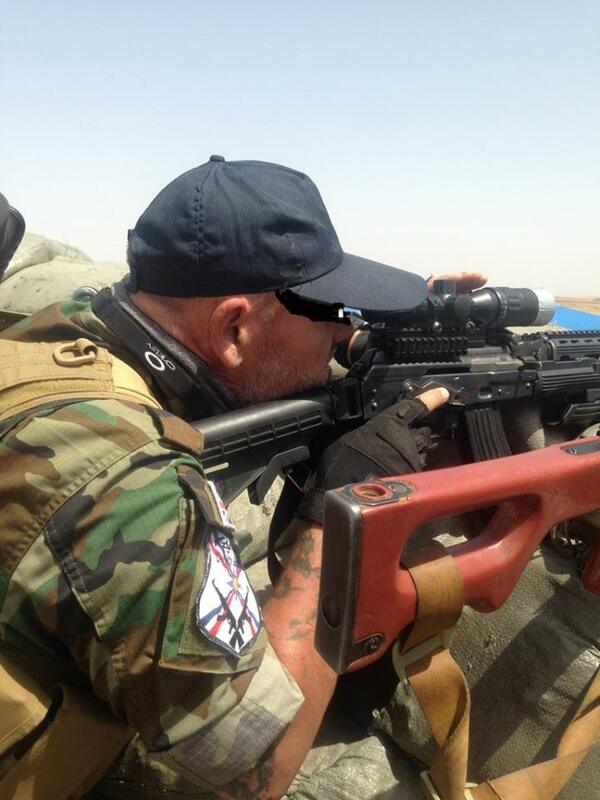 Soon enough my 12-man team was working to extract Assyrian families from the battle zone, even though these families and their rescuers would sporadically come under direct and indirect fire from ISIS units. 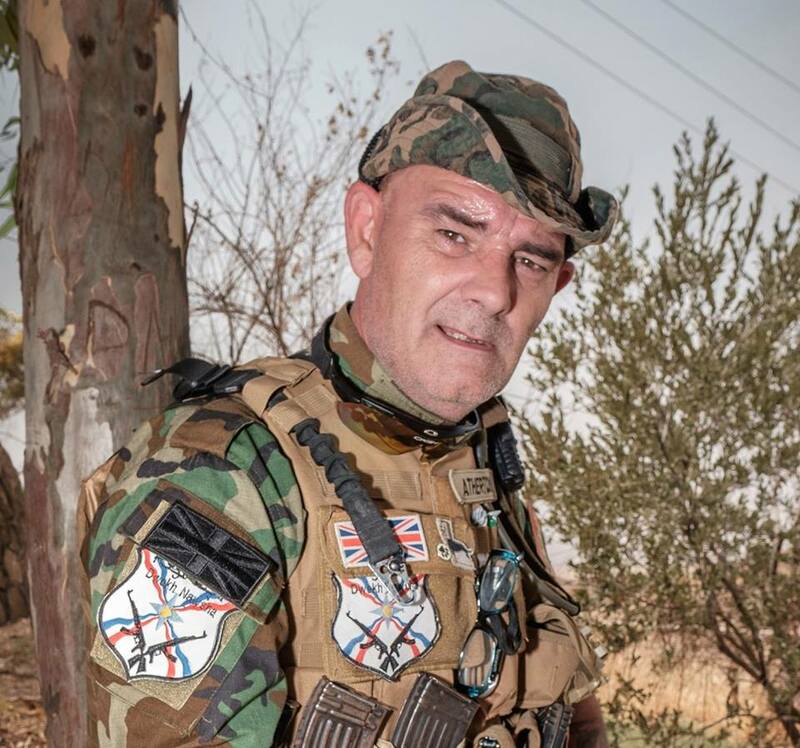 The reality was that in places the enemy was in front of you and in other locations you ran into him as you moved these people to the rear back into Ankawa, the Assyrian security point in Erbil. 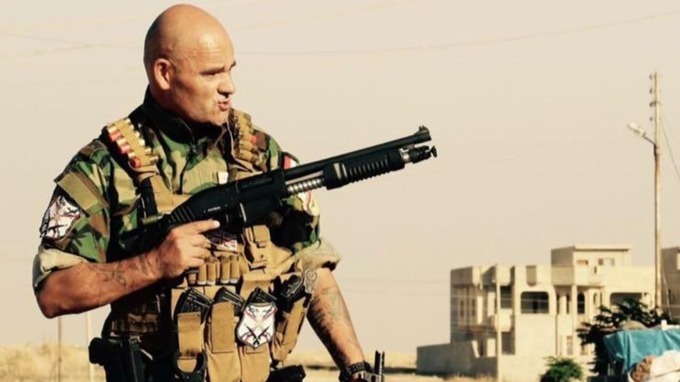 This extraction effort was further complicated given that CF aircraft were hitting ISIS positions along the highway, and since we were not in communication with the planes we were fearful that they might mistake us for the enemy and attack us as well. But we were blessed in this regard, and managed to rescue our people without mishap. Better still, we picked up more weapons and volunteers along the way. 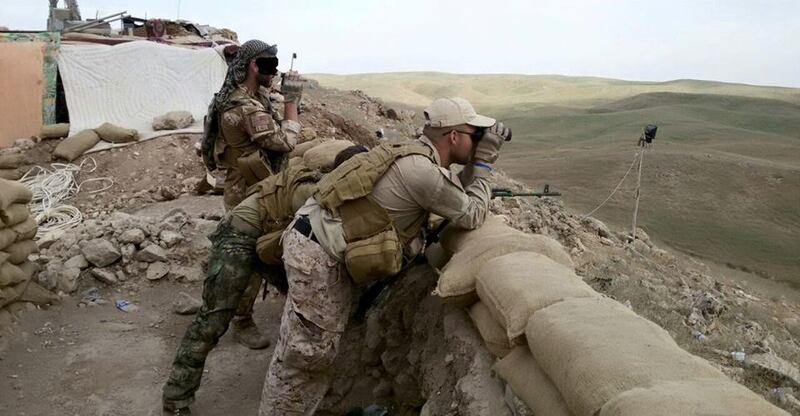 By 10:00 A.M. on 11 August 2014 our group had pushed passed the forward ISIS elements along their axis of attack and encountered the main effort of ISIS forces operating in Nineveh Plains. We established hasty defensive positions in the town of Sharafia. As a result of CF bombings against ISIS forces on the western side of HWY #2 the ISIS forces abandoned the western flank of their attack axis flexed to the east and smacked directly into our forces that had established their defensive positions in the town of Sharafia. Shortly thereafter we engaged ISIS main forces for the first time and with the CF bombings we were able to hold our position and established a new FLOT with ISIS in the town of Sharafia. 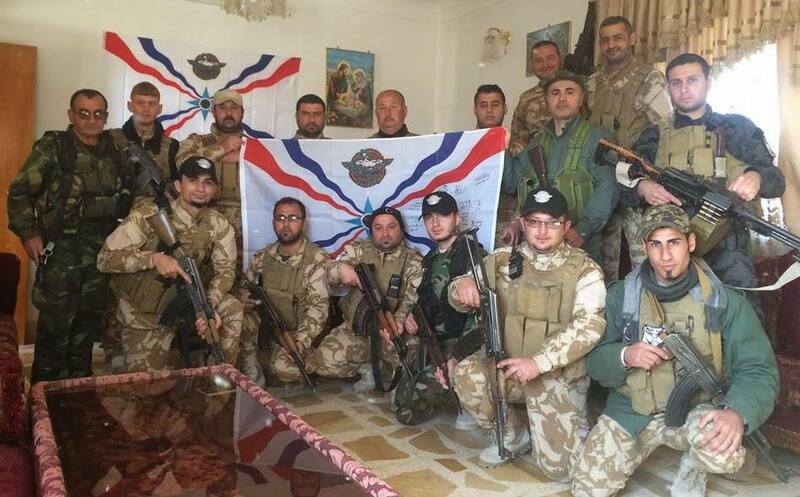 Today the Assyrian Army, which is still referred to as “Dwekh Nawsha,” has celebrated its one-year anniversary of resistance against ISIS in defense of their homeland in Nineveh Plains under their own command and control and under the Assyrian flag. 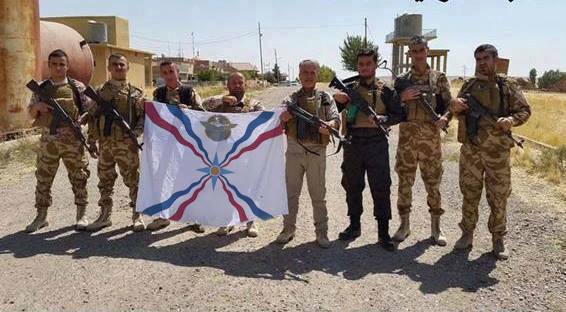 Assyrian soldiers are fighting bravely and effectively to protect their heritage, name, culture, and people without any direct or even indirect military and financial support from any powers within and outside of the region. In past year more than 70 journalists, TV stations, and documentary producers from around the globe have visited the Assyrian cities and villages in Iraq to report on ongoing struggle to maintain the Assyrian footprint within their historical homeland. We salute the sacrifice of these men and women in the first days of August 2014 and we continue to salute the actions of the men and women who have served and continue to serve with this force. We especially want to thank its leaders who did not tie them to any political party or existing military force within the region upon the establishment of the current FLOT, which has extended into the city of Bakufa. 45 Minutes ago; 22 of the elderly Assyrian hostages that were captured in the Khabour River Valley 23 FEB 15 ISIS offensive were released and are with loved ones in Hasaka.